Been lurking at this great place for a while and would like to introduce myself! 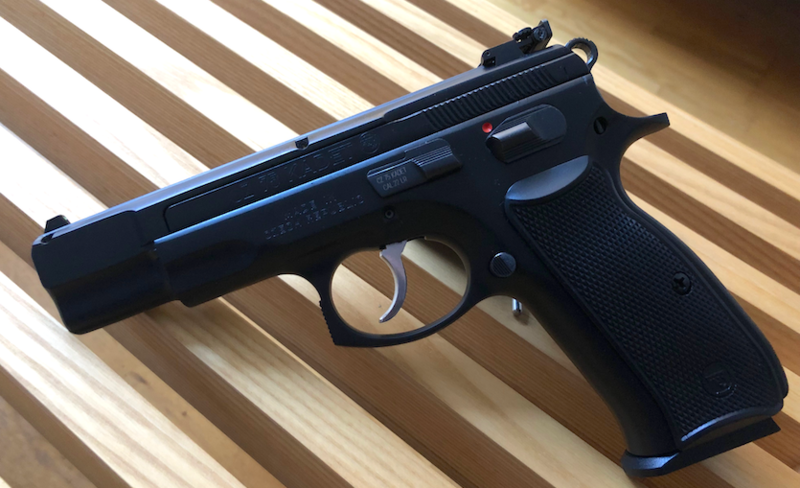 Just became a CZ owner, the Kadet Pistol below is my first gun. Due to our strict European gun laws your first weapon has to be a .22, next year I would like to get myself a Shadow 2 and maybe a CZ .22 rifle (love the mini Mauser action). The weapon is second hand but in great condition, almost no wear, matching numbers and it came in the original box with all the paperwork included. Feels great to finally have my own pistol (and not use one from our shooting club or friends), hope it will improve my skills in Service Pistol competition. First upgrades are going to be Nill Grips and maybe later a new trigger and hammer. Hiya and welcome Kami, from phoenix,az. Would that be the Netherlands you speak of? Few members here,from there have shared,what I feel are backwards and oppressive gun ownership laws for citizens that enjoy shooting sports or interest in self/home defense. Invite you to post again in the Kadet section of the forum,as they shall also welcome seeing your pistol. The Kadet kit,the upper part of your gun fits many other cz pistols, and hope you enjoy seeing the various ways cz owners enjoy the .22 platform. Be well. Thanks Adrian! I'm indeed from the Netherlands. Our laws are very strict compared to yours, but not impossible, feel free to ask any questions about it. Will post again in the kadet section, cheers! Welcome from Georgia(USA)! If you spend much time on this site, you will hear Cajun Gun Works mentioned much as a source and manufacturer for CZ upgrade parts. Just out of curiosity, is there a Netherlands or European source for such things? Wonder if they can ship pistol parts to USA if there is such? Cajun posted that they are working on export to Europe. The wheels of governments grind slowly. Hello and welcome to the form from central MI. Greetings from South East Kansas. Thanks! I've read about them but at the moment they don't ship to Europe, glad to read this might chance. I'm able to order stuff from the European version of CZ Custom though, but they don't cary half the stuff the US website does (which is strange because CZ is very popular here).